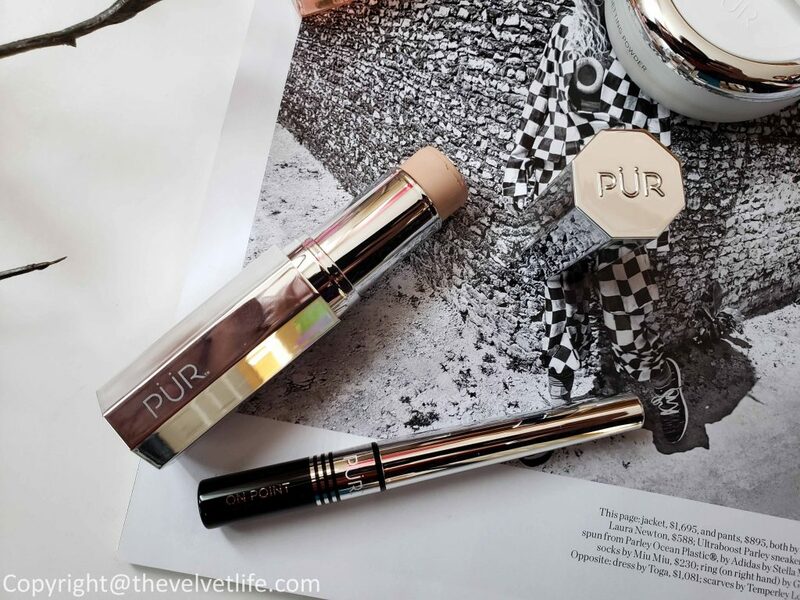 Pur Cosmetics 4-in-1 Foundation is a cream to velvet matte stick which creates a flawless illusion. 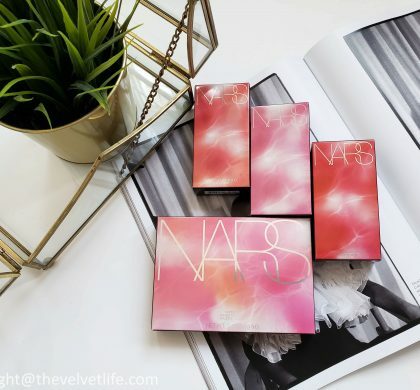 The 4-in-1 foundation is medium to full coverage and can be used as a highlighter or contour cream. The product is enclosed in a sleek octagonal stick that helps application easy on the face and around the curves. The formula contains Ceretin Complex known as an age-defying ingredient, it also contains nourishing energy complex to color correct and brighten the appearance of uneven skin tone, retain hydration, reduce the look of pores and dullness and it also protects the skin against environmental stressors, skin fatigue, and signs of aging. The stick foundation is very practical and easy to use. The formula glides on effortlessly on the skin and blends nicely. 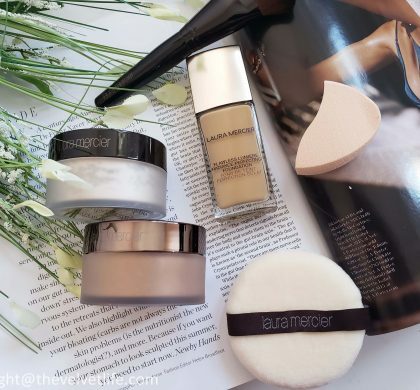 The coverage is medium and easily buildable. 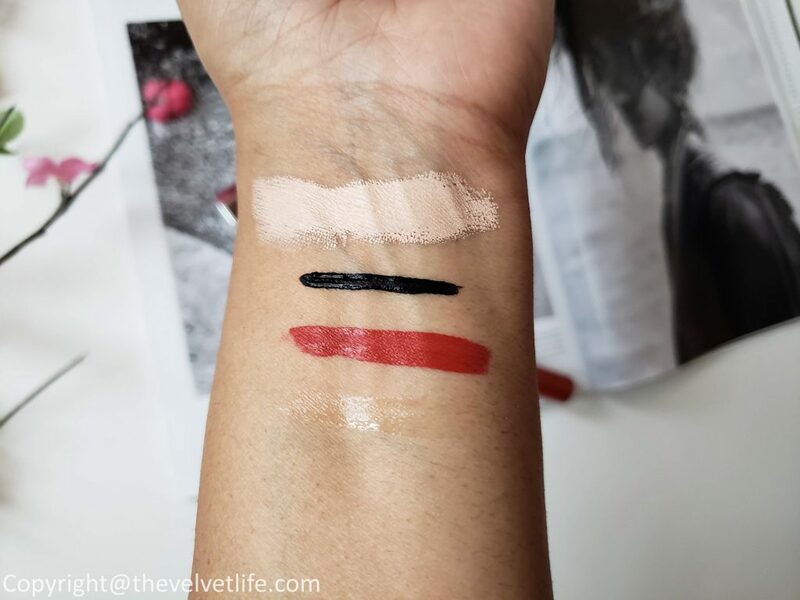 The shade I have in the swatch is Blush Porcelain which is more of highlighter shade for as it is too light for my medium tan skin tone but there are 24 shades available in it so there is something for most of the skin tones. The packaging is beautiful, looks so chic and stylish. Another plus point is the packaging being travel-friendly. 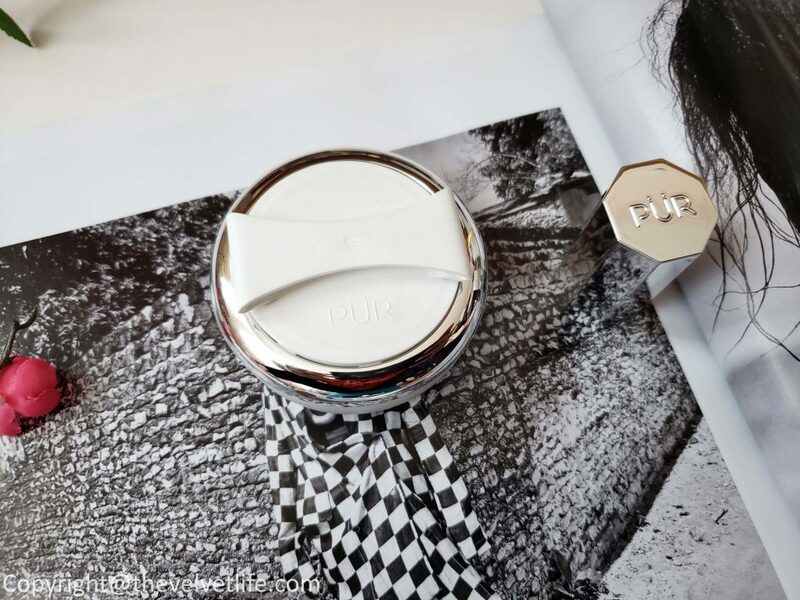 Pur Cosmetic Translucent Loose Setting Powder is a microfine setting powder that helps prevent your makeup from caking and creasing. The light, fluffy powder applies easily without making a mess with the help of the built-in sponge. To apply, just shake, tap, and sweep the powder onto the skin. The translucent matte finish blends seamlessly and won’t settle into fine lines or pores. The special mineralized formula helps blur the look of imperfections and set the makeup. The packaging is so cute and adorable, feels very soft and classic in hands. The built-in-sponge and the design of the whole product and packaging are very innovative. The powder is very fine and blends in nicely into the skin. It gives a nice veil on the skin which is radiant and invisible at the same time. 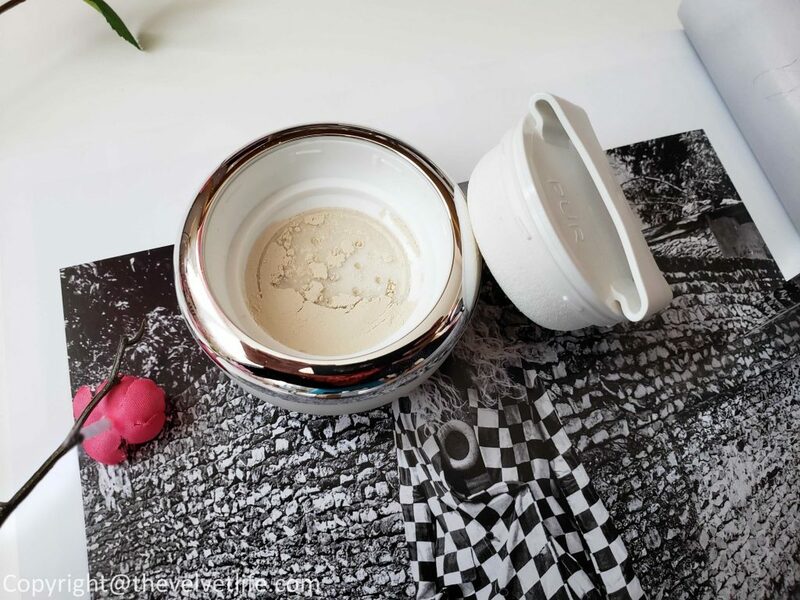 Overall, a nice setting powder which looks beautiful. It does not settle into the pores and lines. The trend this summer is the cat eye in an oversized, imperfect and graphic version, means you can go above and beyond your creativity to create that eye which is both beautiful and on trend. 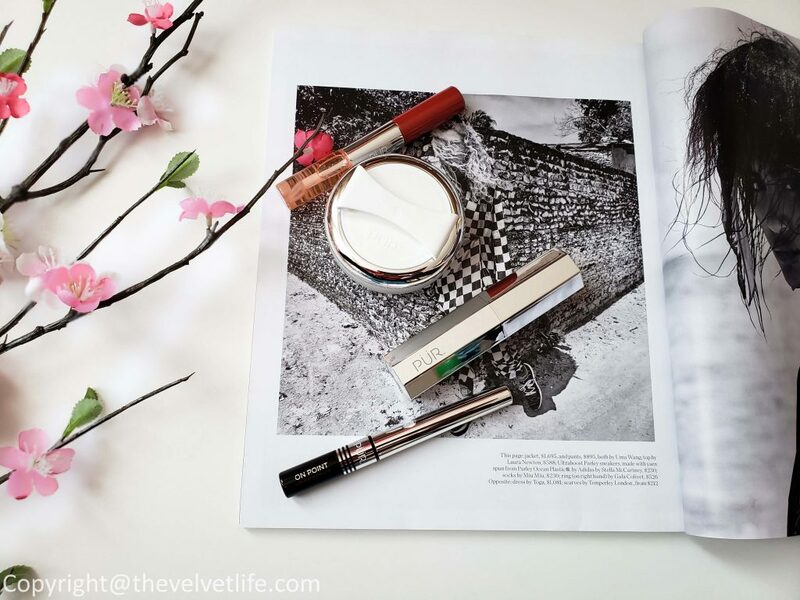 Pur Cosmetics On Point Liquid Eyeliner has a fine and flexible felt tip which delivers thin to thick lines with ease without smudging, creasing or fading. It goes on smoothly without skipping or pulling and is quick to dry. 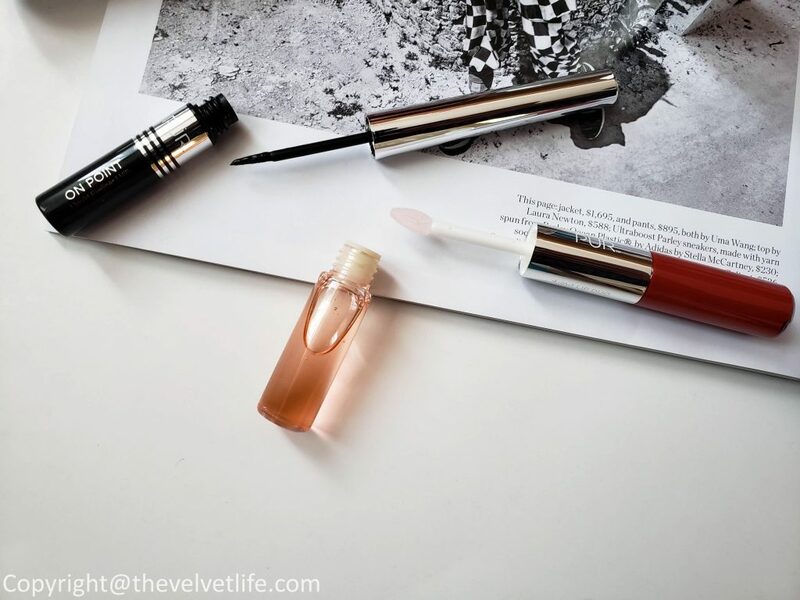 The ultra0matte liquid liner is enriched with Lash Rejuvenation Complex and Passionflower Oil to prevent premature lash fallout and provides skin with needed moisture without causing the formula to smudge or run. The formula is dark black and I really like it, the felt tip works well and is easy to use. The staying power is really good and stays on well for a whole day without smudging, creasing, or fading. Pur Cosmetics 4-in-1 Lip Duo is a quick pro-style, dual-ended lippie gives fun and functionality with 4-in-1 benefits. 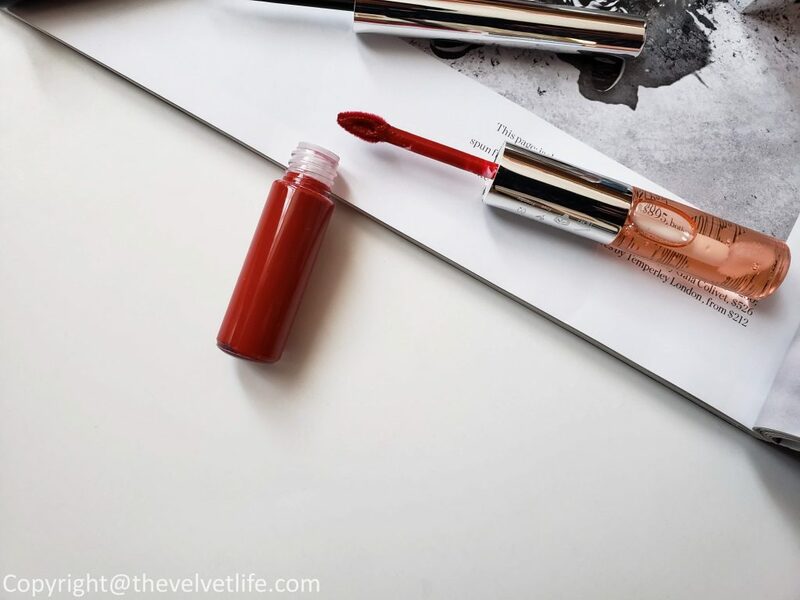 The lip duo contains a creamy transfer-resistant, matte lip stain on one side and an ultra-nourishing lip oil treatment enriched with moisturizers like agave and lip plumping goodness. I am really liking the formula and bright shade. The red shade would look great on most of the skin tones. The staying power is impressive. The duo works well together and even alone. It did not dry my lips or emphasized the lines or dryness. Overall, beautiful packaging, nice formula, and an amazing range of products. 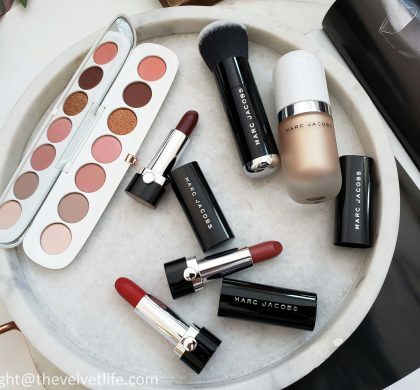 Pur Cosmetics – Summer 2018 Collection is available at beautiboutique.ca by Shoppers Drug Mart.